Hardman, L, & Sharratt, B.S. (1989). 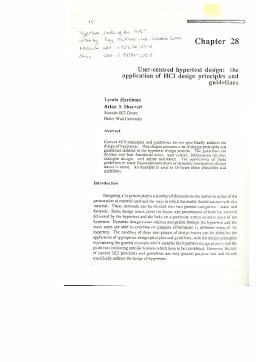 User-Centred Hypertext Design: The Application of HCI Design Principles and Guidelines. In R McAleese & C Green (Eds. ), Hypertext: State of the Art (pp. 252–259).